I took a long walk after I published my entry for Tuesday's Truths yesterday. 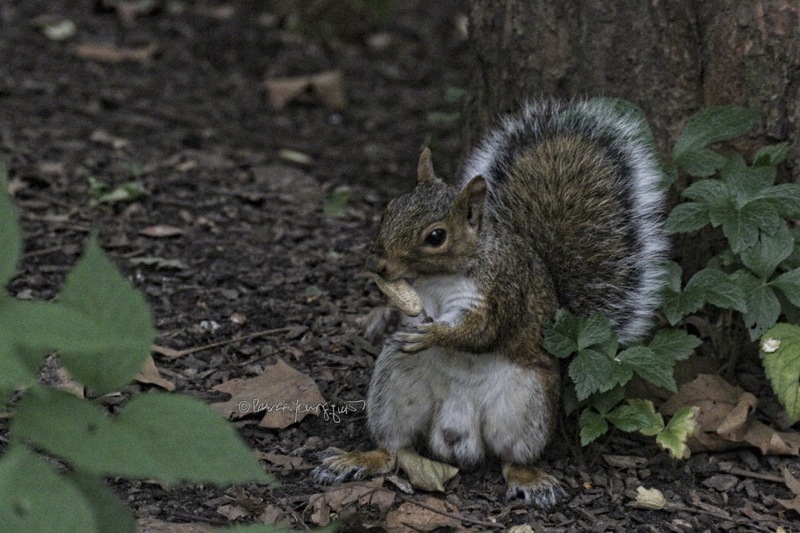 I needed to get the disappointment of what happened to volume three of my book series (Words In Our Beak) off my mind, so I took a long walk in Central Park to pay homage to squirrels since this is Squirrel Awareness Month. According to a holiday-themed web-page, "Come October we start preparing for the months ahead. Holiday fun. Winter snow and ice. 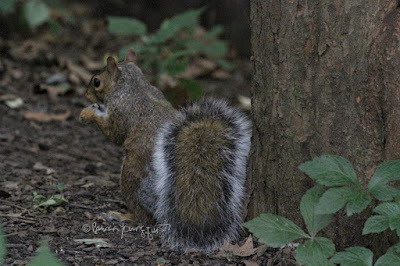 Short, dark days … Because squirrels are preparing for the upcoming months same as us. Well, ok, probably not the holiday fun. Although our squirrels sure do like the fall displays that include corn … "
The aforementioned web-page explains that a man named "Gregg Bassett, is the founder of The Squirrel Lover’s Club. He first created created the month to celebrate the squirrel. Mr Bassett passed away in 2008, but his celebration of the squirrel lives on. 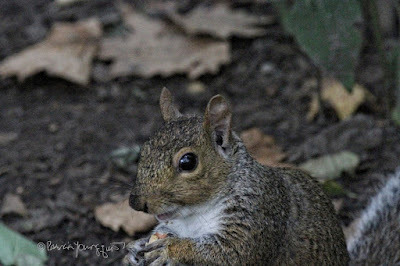 Squirrel Awareness Month began life as Squirrel Awareness Week, celebrated the first week of October. Eventually it became Squirrel Awareness Month. This month is different from Squirrel Appreciation Day in January." As I observed these creatures eating my unshelled peanuts, I was mindful of their expressions and of their tails, hence the photo featuring a squirrels tail posted atop this entry. For the page I've been referencing states, squirrels use them to communicate and their tails "provide balance for safely walking along tree branches (and electrical wires!). If they do slip and fall, that tail can act like a parachute and slow their fall. 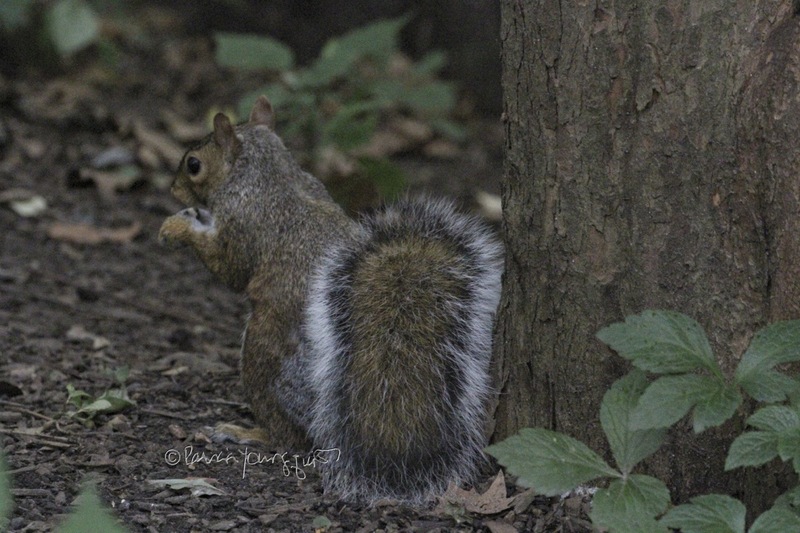 That tail helps squirrels control their body temperature. And it’s more complicated than just wrapping themselves in their tails for warmth." I didn't witness any of this specific activity re the tails of squirrels I saw in Central park, but I did keep the web-pages statements about them in mind as I observed the creatures. 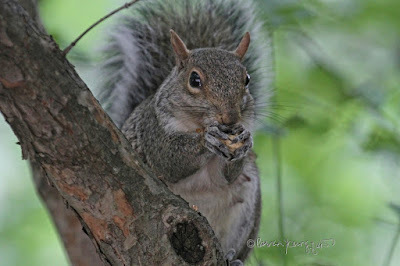 The critters got me out of my discouragement with their apparent joy over eating peanuts. I may make it a point to visit them more often during "their" month, when I have a moment that's not centered on my book series's lack of progress. I highly recommend observing squirrels as a way of curing the blues and what a perfect time to start doing this since its #SquirrelAwarenessMonth!